A bit slack with updates at the moment, as silly season for deck building is here and well! Having had a great 3 week stint of remarkable sunny weather here in Wales and many other parts of the UK, everyone is thinking about outdoor living and the smell of burnt sausages is filling the air as BBQ's become daily events. ALWAYS GOOD! 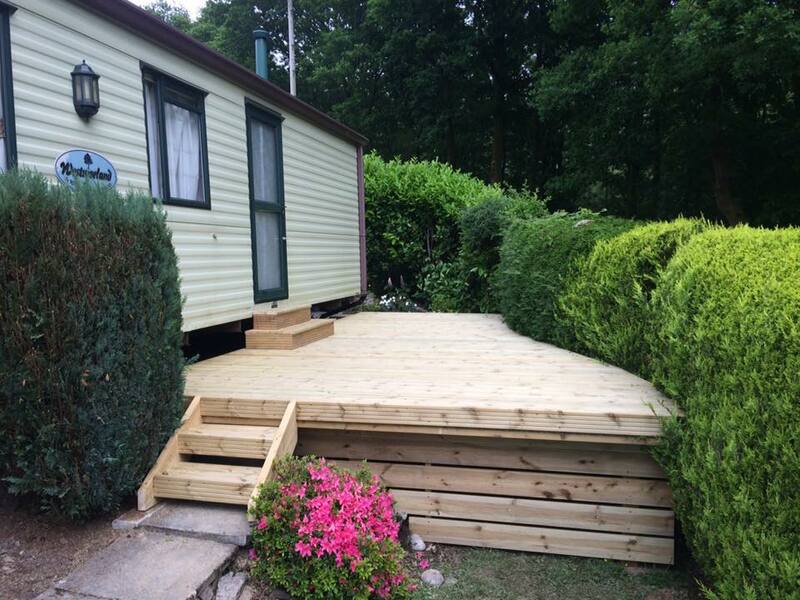 After some really great House jobs, its been mainly Static Caravan decks over the last few weeks with exception to one massive house deck. 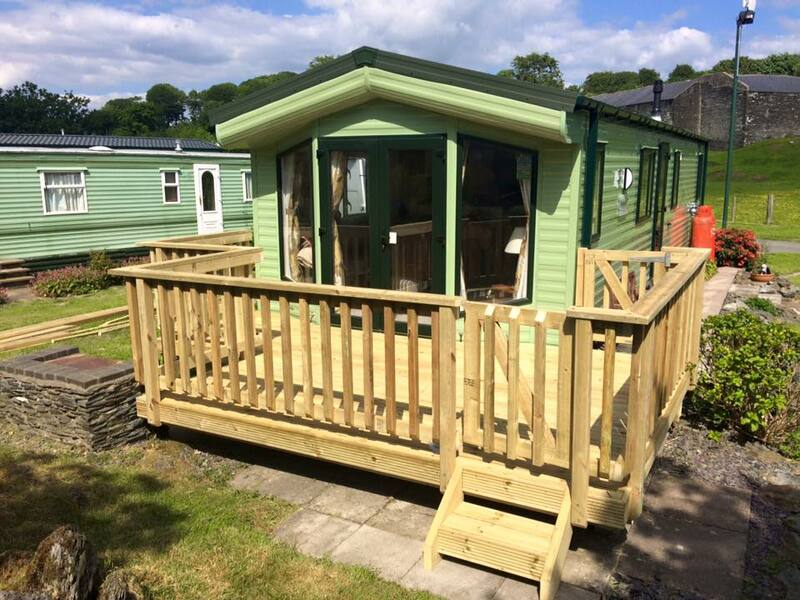 4.8x2.4 meters, (16x8 foot), and ideal size area for a sitting area, and even better when you have patio or French doors on your caravan. Prior to the deck being installed, this large area was on multiple levels with no way to easily walk form one side of the property to the next. Stage 2 of this development will be a roofed area for outdoor shelter and shade. 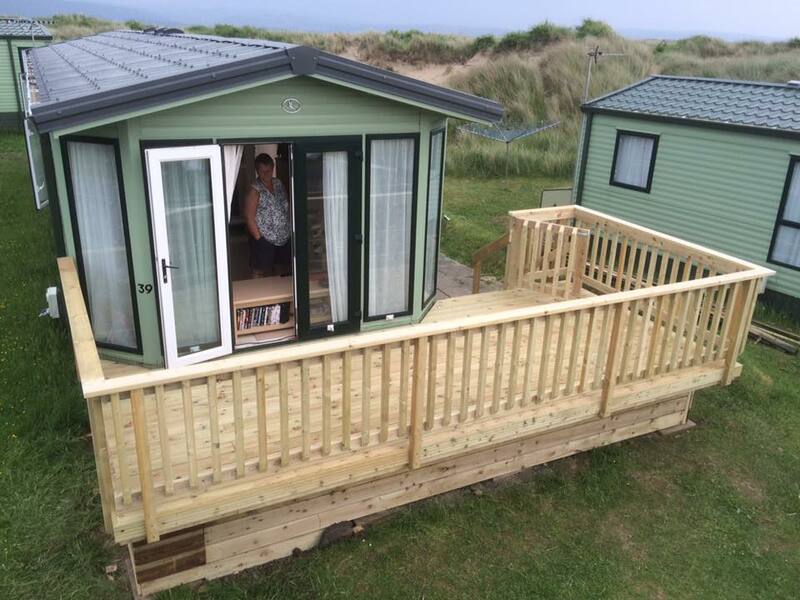 6x2.4 meters, a great sized static caravan decking, ideal for letting kids and dogs roam free, or just extending your living room when the patio doors are open. Another example of turning sloping, multi level ground into a great large area to enjoy the fresh air, 6 meters in length by 3-4 meters in width, a really big area to add space to any holiday home/ Caravan or Chalet. 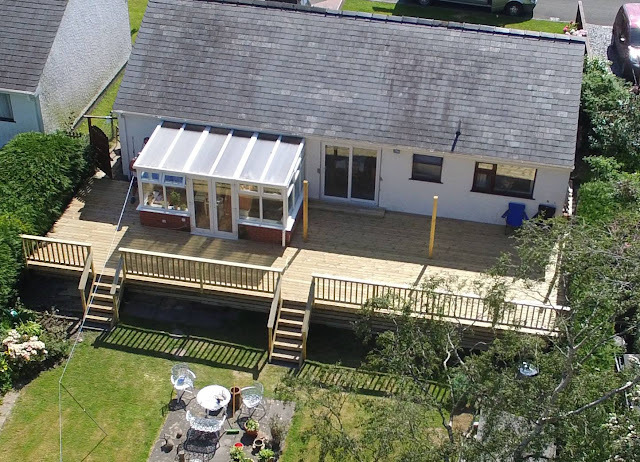 The summer is really booking up quickly now, so if your in a rush to get a deck designed and installed, please do call or message us sooner rather than latter. Of course, outdoor living isn't just about summer, so if your not in a rush why not contact us and let us design a space to suit your needs.